From the Scholars Strategy Network, written by Kelly Musick of Cornell University and Katherine Michelmore of University of Michigan. The share of births to unmarried women in the United States has almost doubled over the last 25 years, going from 22% of births in 1985 to 41% in 2010. These are not just teenagers or older women having babies on their own. Parents who are living together but not married account for much of the overall increase in births to unmarried women, especially in the last decade. For babies and children growing up, living with two cohabiting parents in many ways resembles living with two married parents. There are two potential earners contributing to the economics of the household and two potential care-givers. But we cannot just assume that cohabitation and marriage are the same, because couples who have a child while living together are more likely to separate at a later point than married couples who have a child. Furthermore, researchers have found that children’s wellbeing can be undermined when the living arrangements of their parents change. To draw meaningful conclusions about the impact of rising childbearing among cohabiting couples, we need to learn more about whether cohabiting families are becoming more or less stable over time. Our research focuses specifically on couples who have had a child together. These couples express high hopes that their relationships will last, but what actually happens and with what consequences for their children? We used nationally representative survey data from the 1990s and 2000s to examine changes in the stability of married families, cohabiting families where marriages do not happen, and cohabiting families where parents marry around the time a child arrives. Our first step was to track changes in the social backgrounds of married and cohabiting mothers. Less economically advantaged men and women have always been more likely to have children while cohabiting. We find that cohabiting mothers have become more likely to have attended some college, but there is still a huge college graduation divide. Just 5% of mothers cohabiting at the birth of their children are college graduates, while half of mothers married at birth have college degrees — and those unions are more likely to persist. We next assessed the impact of differences in prior family experiences, such as earlier separations or having children from an earlier relationship. Did such complexities make later breakups more likely? Evidence for this proposition was weak: Although cohabiting mothers were more likely than married mothers to have previously cohabited with a partner, increases over time in prior cohabitation were almost completely offset by decreases in prior marriages. Stable or declining shares of women in current unions have a child from a previous relationship. Overall, we found only a small impact from earlier complex family situations on recent changes in the stability of parental unions. Do parents who have been cohabiting tend to get married when their first child arrives? We looked closely at that and other moments of transition for couples at various points in their relationships. In the earlier period, taking socioeconomic status into account, parents who married without ever cohabiting had substantially lower odds of separation than those who lived together first and married later. But cohabitation has recently become less likely to make eventual marital relationships unstable. Couples who live together and then get married at some point before or after their first child is born have roughly the same chances of breaking up as couples who marry without ever living together. The only sorts of cohabiting parents with visibly higher chances of breaking up are those who never marry. Our finding that cohabitation is no longer significantly associated with instability as long as marriage follows either before or after the birth of a child fits what any observer of American society is bound to notice: the boundaries between marriage and living together are blurring and there is less social pressure for couples to marry. Our data suggest that many couples may be planning to marry and have children as their mutual commitment grows, without worrying very much about which comes first. Our finding that persistent cohabitation not followed by marriage remains unstable for parents and children, however, points in a different direction. 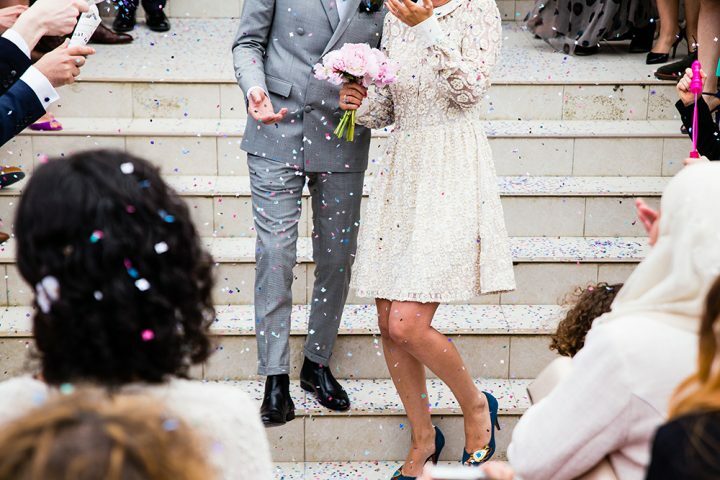 It fits more closely with the picture of a society in which marriage is increasingly a privilege enjoyed by better-off people, while cohabitation is a second-best, less stable family situation, much more prevalent among the economically disadvantaged. About 30% of couples who never marry separate within five years, twice the proportion of breakup among the married. Our data account for family background and other indicators of socioeconomic status, but we do not know about the quality of relationships. Qualitative studies have shown that many disadvantaged women have high expectations for marriage, but end up with children outside of marriage in relationships strained by poverty, infidelity, and substance use problems. Our research sheds light on the evolution of cohabitation and clears up misunderstandings perpetuated in previous studies done at snapshot moments. By looking closely at changes in parents’ unions around the time of childbirth, we found that a period of cohabitation no longer predicts more breakups, as long as couples get married at some point before or after a child is born. This is good news for the children of couples who have cohabited before marriage. But much still remains to be learned about persistent family instability when parents never marry at all. Related research: Read more in Kelly Musick, Katherine Michelmore, “Change in the Stability of Marital and Cohabiting Unions Following the Birth of a Child.” Demography, 2015. The authors are members of the Scholars Strategy Network, where this post originally appeared.